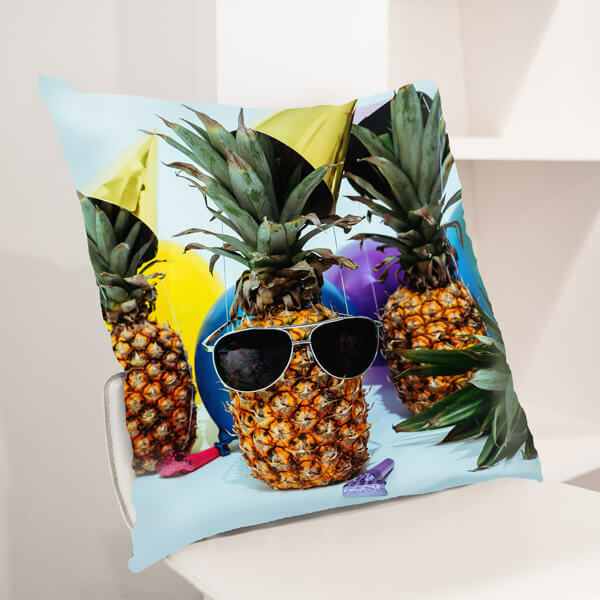 Create beautiful photo pillows with just a few clicks. Custom photo pillows for any room. Turn your photos into an 18x18” plush masterpiece. 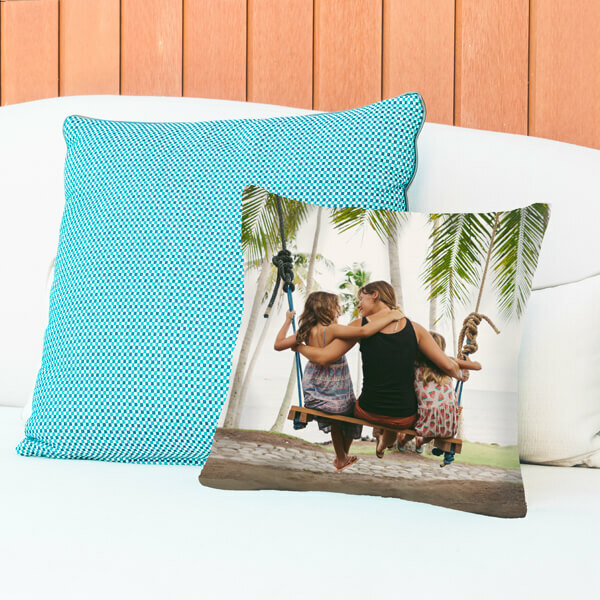 Whether you need a thoughtful gift or a home decor piece that’s uniquely yours, our personalized photo pillows are the perfect way to bring your favorite photos to life. 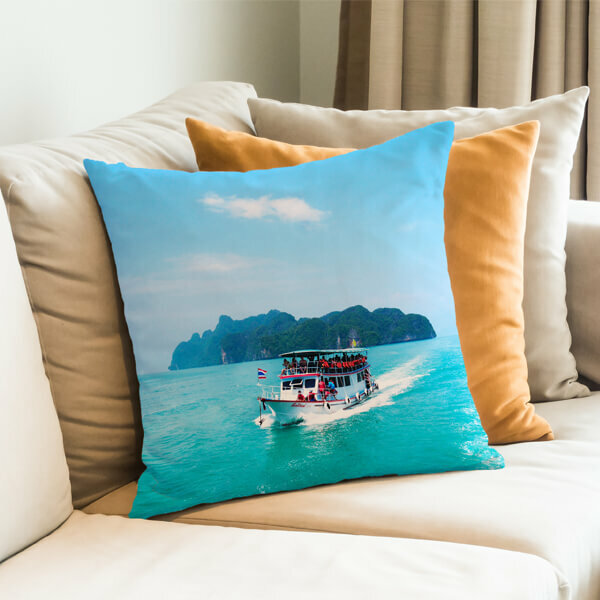 Select your favorite images to turn into customized photo pillows. Pick from your computer, phone, or tablet. Upload your photo and perfect it with our pillow customizer. You’ll get a live preview, so you know exactly how your pillow will look! Now, just sit back and wait for your personalized pillows to be shipped right to your door. We guarantee that your pillows will be the perfect personalized touch to any space. Durability says "hello" to comfort. A photo pillow that doesn't just look good. Every photo pillow comes with a removable cover and is made in America with 100% spun polyester. So it’s easy to clean, and you don’t have to worry about losing its form. Comfy enough for a power nap and durable enough for a pillow fight. Print out your best shots. Whether it be a jaw-dropping photo from your last adventure or a picture of your perfectly imperfect pet, relive your best memories every time you walk into the room. Blow the dust off those old family albums and bring them back to life by making a custom photo pillow for your home. Keep the ones who matter most always at reach with photo pillows. Some days deserve to be celebrated for a lifetime. Be the one to give the gift that makes them laugh so hard they cry. Turn your favorite photos into a one of a kind gift.